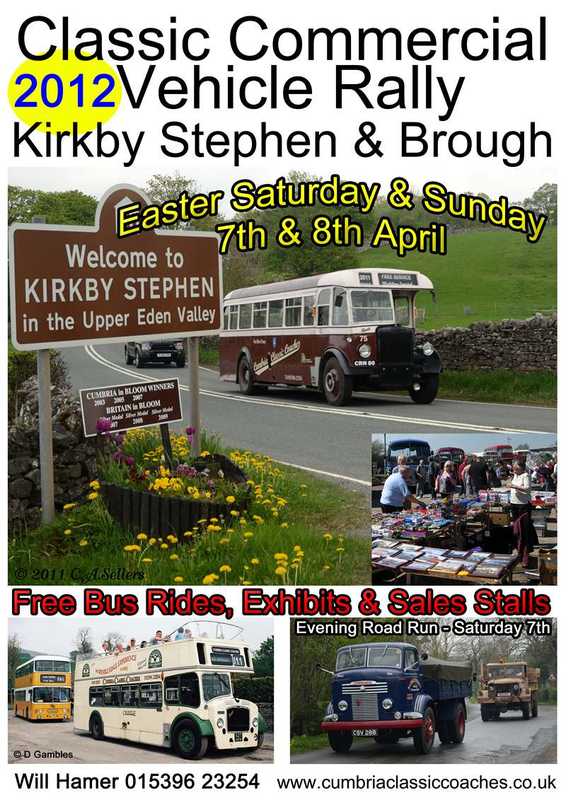 We will be attending the Eden Classic Commercial Vehicle Rally during the Easter weekend and will try to bring you photographs from the event over the next few days. As usual, Steve Morris from Quantock Motor Services is planning to bring something "different" from his fleet. Also entered is the unique Albion Venturer double decker which arrived from Australia a few years ago and was restored using money from lottery funding. Over 50 buses have been entered together with many trucks, vans, pick ups and other unusual vehicles. 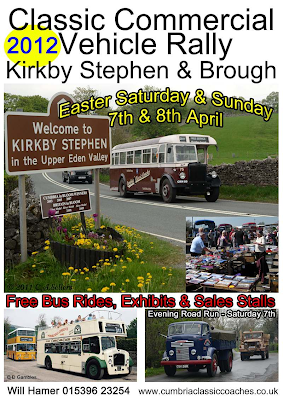 The buses will be in service between Kirkby Stephen and Brough, linking the exhibits, so come and join us at this superb event.